Birds are magnificent creatures that make cute dorm room decorating ideas. 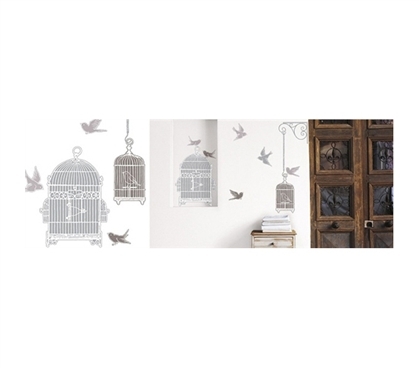 This Birds - Peel N Stick features birds flying around and through hanging cages. This Birds - Peel N Stick makes a unique dorm room wall accent. If you can't have real birds as pets in your dorm room, this Birds - Peel N Stick might be your best bet. Unlike real birds however, this Birds - Peel N Stick isn't at all messy. Peel N' Stick is a totally clean way to decorate your dorm room. Peel N' Stick stickers peel off with zero sticky traces and absolutely no damage to your dorm room walls. 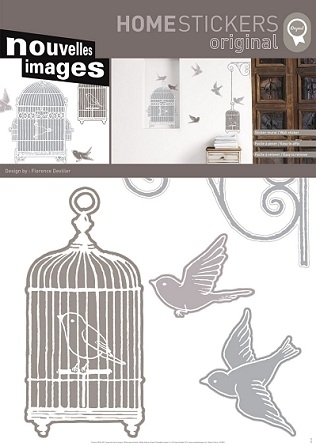 This Birds - Peel N Stick is a dorm room decor necessity!